Nita Jo's Place in central Minnesota is just 30 minutes off I-94; easy to get to! Whether you're just beginning to work with horses, or you've been around them your whole life, Pat Parelli's system of natural horse training and horsemanship instruction will give you a uniquely effective set of tools for working and communicating with horses. 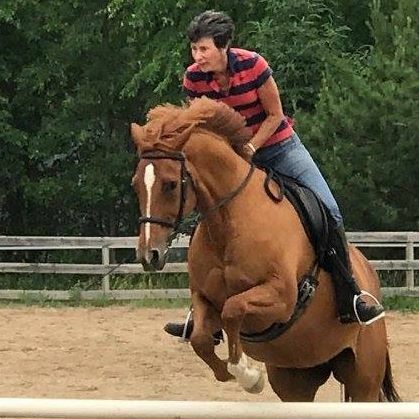 Nita Jo is a Licensed 4-Star Senior Instructor as well as Horse Development Specialist. After studying with her, you will have a level of savvy that's rare in the horse world, yet is unmistakable in the students of Parelli. She teaches camps, clinics, group, and private lessons, as well as taking in horses for training. Contact her about availability and pricing, or click here for a schedule of events. I promise to put my relationship with you, my student, first. Rather than perfecting the task, we will care more about confidence, trust, motivation and willingness... as true horseman do. 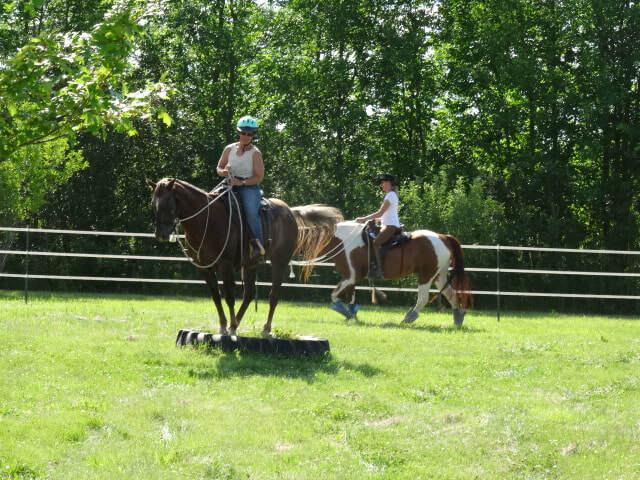 I promise to help you become well-rounded in your savvy both on the ground and riding; to prepare you for success at every level to read your horse, understand his Horsenality and develop your savvy skills On Line, at Liberty, in FreeStyle and Finesse. I promise to inspire and support your quest for never-ending self-improvement. The Parelli Pathway and Savvy Club will guide you to success and help you measure your progress every step of the way.